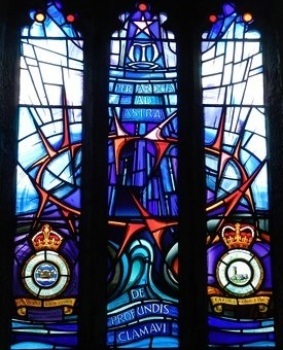 Rung in the Coastal Command Church remembering Steve Goddard, RAF. 1st Grandsire inside - 3. First submitted Tuesday, 11 September 2018 at 16:52:52 by Phil Tremain. Sent for publication in The Ringing World on Tuesday, 11 September 2018 at 20:56:31, and printed in issue 5605.